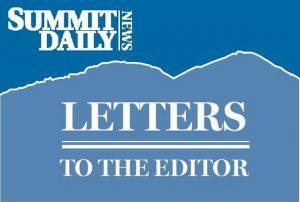 In the April 24 edition of the Summit Daily, Jonathan Oetken took a cheap shot at reporter Lauren Glendenning, asking if she was on Dead Head OG kush when she wrote her article about the fatal avalanche near Vail Pass. She had reported that the victim had been under the influence of marijuana. Jonathan’s logic was that the avalanche would have released regardless of the mental condition of the victim and his complaint was that Lauren was insinuating being high caused him to make a poor decision. Following Jonathan’s twisted logic, being drunk would have no bearing on the fact that someone’s poor judgment caused them to get behind the wheel of a car. And therefore it should not be reported that people were killed or injured because someone was intoxicated — it might hurt their feelings. I am disgusted with censuring the news to be politically correct. This distorts the truth and as such is irresponsible. It matters if someone drives drunk. It matters if someone is an illegal alien and rapes a U.S. citizen. And if someone is walking around stoned and makes a bad decision, it matters to their safety as well as the public’s. Jonathan must feel that being high is wrong or at least embarrassing or he wouldn’t care if it were reported. If you don’t want to be embarrassed, walk straight and tall. I didn’t see Jonathan complain about DUI reporting and until he does, he can’t be taken seriously. You can’t have it both ways.